A Christmas letter doesn’t have to be boring, and this Featured Favorite is a great example. 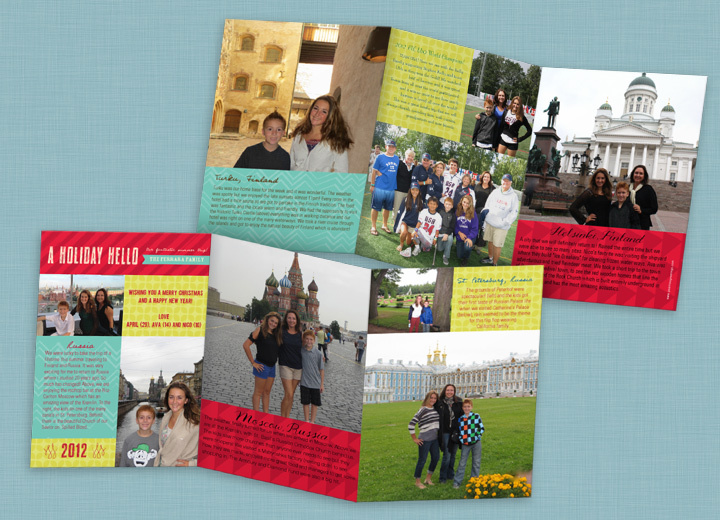 April, Ava, and Nico wanted to share pictures from their trip and were looking for creative Christmas card ideas that would hold lots of photos and room for their story. Find more creative Christmas card ideas by real customers in the Featured Favorites section of our blog or start creating your very own creative Christmas card.